Christians in Context: from orthodoxy to orthopraxy. 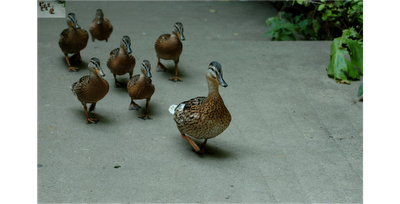 : Who are you following? If you have a Twitter account, you know that on your main page there are two categories: Following and Followers. Following: Those are the people or groups who have a Twitter account that you are following. Every time they tweet something, it comes to your Twitter feed. Followers: Those are the people or groups who are following you. Every time you tweet something, it goes into their Twitter feeds. I am following John Piper and CJ Mahaney, for example. They, on the other hand, are not following me. Then there’s Facebook, where you don’t have followers; instead, you have friends. Everything you post on Facebook can go into your friend’s accounts. Unless they have blocked your posts and you are a friend in name only. That would mean they count you but they don’t follow you. Let’s not even talk about LinkedIn or Google Plus or Pinterest, all of which have ways for you to follow people or be followed by people. The social media world knows all about followers. But, do they really? Do they know about following in the same way the Bible speaks of following? When I was 15, I lost the person who best represented to me what a follower of Jesus Christ looked like. My greatgrandmother died that year. My first memory of Grandma Hauser was when I was probably 4 or 5 years old. I was at her house and eating a Lifesaver. I swallowed it whole and it got stuck in my windpipe. I started turning blue and Grandma Hauser put all of her 98 pounds into a blow to my back. The Lifesaver came out and the breath came back in. My lasting memory of Grandma Hauser was also of her hands, not hitting me in the back but folded in prayer. She loved Jesus with all her heart and talked to him every single day. I would sneak down the hallway sometimes just to take a peek at her kneeling by the bed with her hands folded, praying. Grandma Hauser never even dreamed of Twitter or Facebook, but I was one of her followers. That’s for sure. Then there was my pastor, Burke Holland. When I was in my late teens, he was the one God used most to teach me the Bible. I loved his preaching and I respected his life because what he talked about in the pulpit on Sunday, he walked out in the community all week. You could say I followed his teaching, his conduct and his aim in life literally, because it was under his ministry that I promised the Lord I would be a pastor. Burke is past 80 now and is a follower of this column, getting them as an email once a week. But he is one whom God used to shape me. I’m not concerned too much with whom I follow on Twitter, or who is following me. But I am so thankful for the men and women whose walk with the Lord I can follow. I also am humbled by the knowledge that some follow my walk with the Lord, just as they do yours. May God help us!